How Do You Protect Yourself From Zika When Staying Indoors Is Not An Option? 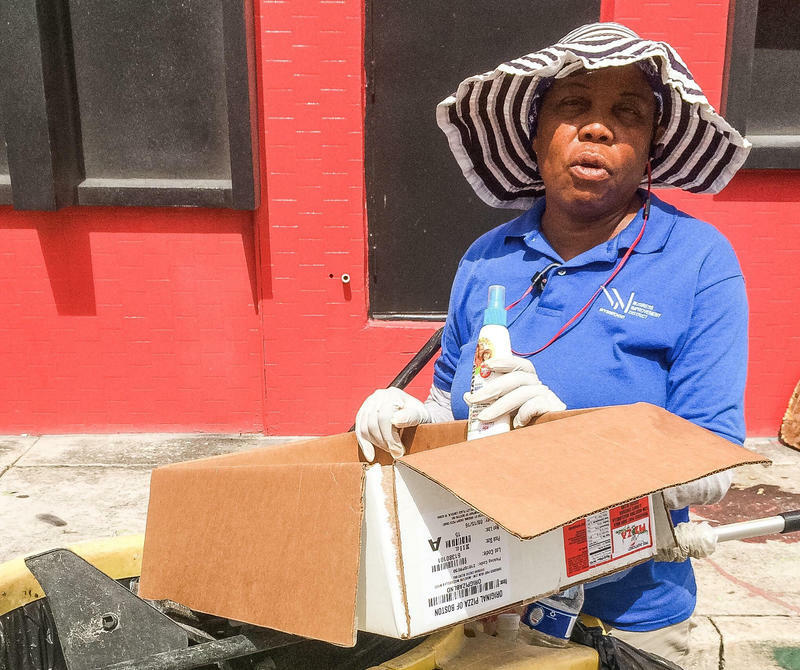 Glendina Roseborough, who works as a street cleaner in Wynwood, says she's not too concerned about Zika because she wears long sleeves and pants, and her employer provides bug repellent. The key to avoiding Zika is avoiding contact with the mosquitoes that carry Zika. 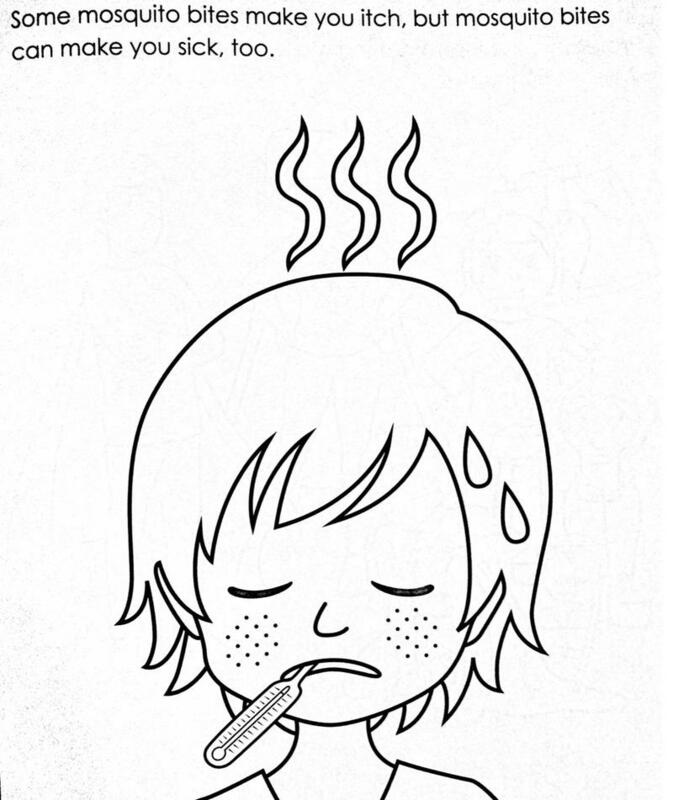 The official advice is to wear bug repellent, avoid affected areas, and stay indoors. But for people who spend extended periods of time on Wynwood's streets, following that advice is difficult. Glendina Roseborough works for the Wynwood Business Improvement District. She sweeps streets, working from 7 a.m. to 3 p.m. That’s eight hours of potential exposure to mosquitoes. But Roseborough says she’s not worried about the Zika virus. "We wear our long sleeves, you know and our boss, he always provide us with the spray," she said. And Roseborough and her coworkers share their bug spray with anyone in Wynwood who wants it. Tourists, business people, homeless people, visiting journalists -- Roseborough's happy to share. So is James Bernat of the Miami Police Department. Bernat was giving bug spray to homeless people in Wynwood. "Some are pretty aware, some are unfamiliar with the Zika virus," Bernat said of the people who accepted the repellent. "But the the the whole idea is to make sure we get the product out to them and and they’re well protected." Rose West was sitting on the curb outside the Miami Rescue Mission as Bernat handed out the last can. West, who’s homeless, arrived too late to get any repellent. She says she isn’t worried about Zika. "Really I haven’t paid no attention to it because there’s a lot of things going on in my life right now," West said. 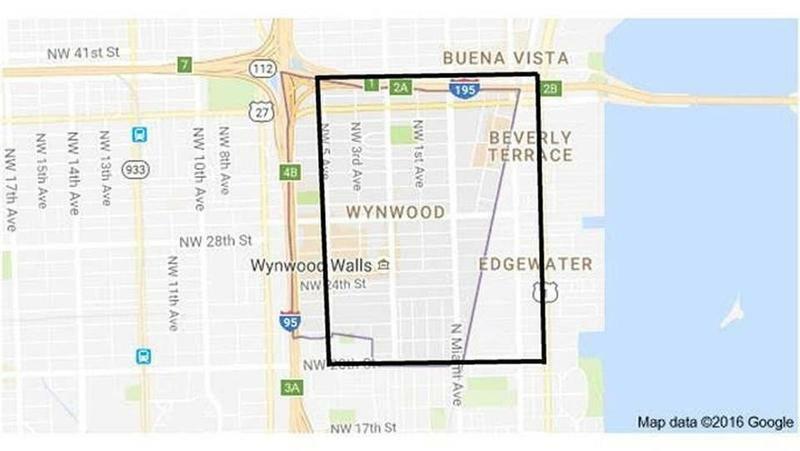 Bernat said Wynwood's homeless population ranges between 30 and 50 people. He distributed nearly all of his 50 cans of repellent on Tuesday morning. 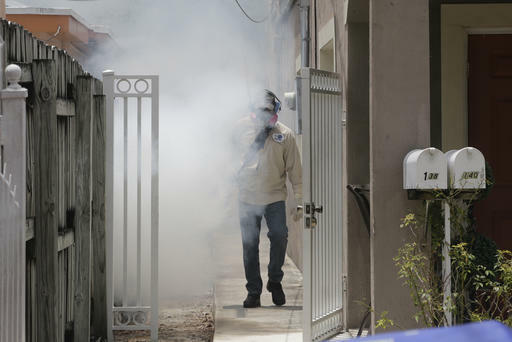 Florida health officials have identified 10 more people who likely contracted the Zika virus through a mosquito bite in South Florida, bringing the total to 12 cases in Miami-Dade and 2 in Broward County. 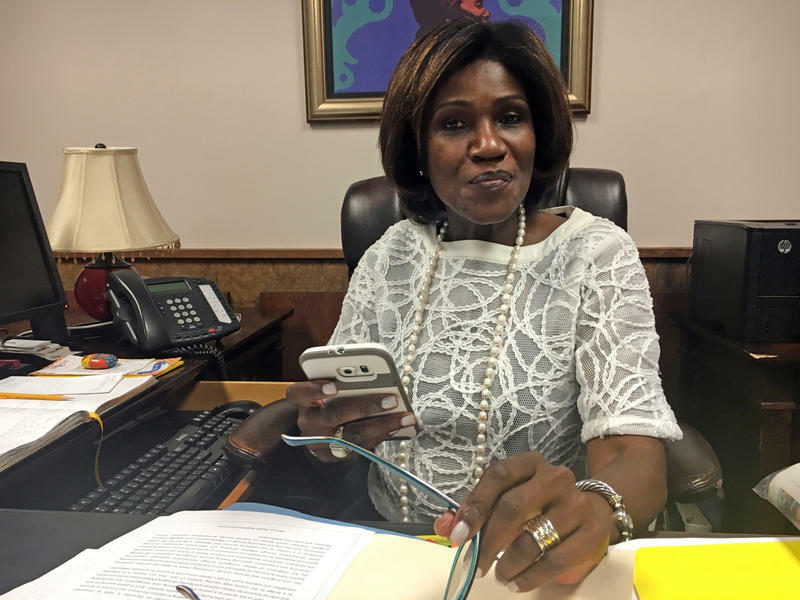 The Florida Department of Health releases new information on Zika everyday, but some leaders in the Haitian community in Miami-Dade say the outreach isn't reaching everyone. Dr. Smith Joseph, Mayor of North Miami, has a medical practice in the city. He says when it comes to Zika, some of the Haitian community in Miami Dade is in the dark. "There's nothing that has been targeted to the Haitian population in Miami Dade County," Joseph said. Dr. Joseph participates in Creole language radio programs, where he answers questions about Zika. Schools and school districts are among those reacting to news of 14 locally-acquired cases of the Zika virus confirmed in South Florida. With the first day of school still weeks away, Miami-Dade County Public Schools sent out an automated voicemail to parents last week reinforcing basic anti-mosquito measures. The recording advised parents to wear "long-sleeved shirts and long pants," to "apply mosquito repellent to bare skin and clothing and use mosquito netting with children younger than two months."